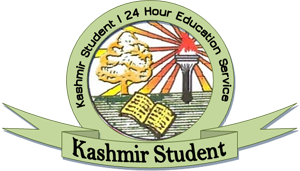 The authorities in the higher education department (HED) have decided not to hire academic arrangements for degree colleges in Kashmir for the current academic session. The decision has left the educated unemployed youth dejected who accused the department of marring their career. A group of candidates possessing P.hD and NET degrees said the government was chocking opportunities for the qualified youth in the Valley. “We were eagerly waiting for contractual forms this year so that we could have earned our livelihood for our family. However, this year, there has been unnecessary delay in its advertisement process,” they said. They said the department was extending the term of the academic arrangements hired in colleges last year which they said was “sheer injustice” with the scholars awaiting for the advertisement of the posts. “We are highly qualified NET-JRF, SET, PHD and Post doc candidates. We cannot sit idle for three months or one year. We deserve respect and a dignified living,” the candidates said. On Saturday, the tenure of academic arrangements hired in colleges last year was extended up to 31 July on the same terms and conditions that were applicable to these candidates for the session 2018-19. “The administrative department conveys approval for extension in the term of the candidates engaged on academic arrangement in colleges for 2018-19 academic session,” reads the letter shot to nodal principal Kashmir colleges by Under Secretary of higher education department. 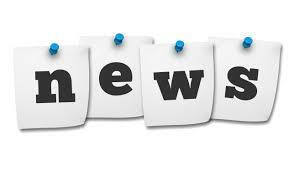 The HED has stopped the fresh advertisement for academic arrangements in view of the Model Code of Conduct (MCC) which came into effect in the state after the notification of parliamentary elections was issued. “But hiring academic arrangement is a continuous process and won’t violate MCC in state. The decision will ruin the carrier of meritorious candidates. The department should invite fresh applications and select the candidates on basis of merit,” they said. “There are some issues in it. The process was supposed to be completed by end of February but this year the process has not been initiated,” he said. He said the process was not initiated later due to imposition of MCC in the state. “But I am sure that once MCC is over fresh applications will be invited from candidates. By that time we will use services of academic arrangements hired last year as their term has been extended,” he said.